I’m so excited for fall I can hardly stand it. It is my most favorite time of year. Football, leaves, pumpkins, soups, apple cakes, fires….it really can’t get much better than that. I love the smell of the air that time of year. After a long, hot summer, I think I’ll drive with my head out my window, and sniff the fall air the whole month of October. Yes, I believe I’ll do that. Mums in ya pumpkins. Awesome idea! Source here. Pumpkin Topiary. How cute is that? Source here. 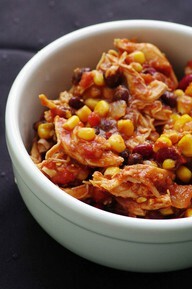 Chicken Enchilada slow cooker soup. Y-to tha U-M. Source here. 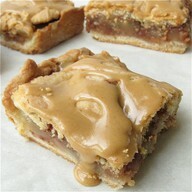 Old fashioned apple slab. I’m going to try this asap. Source here. Taco chili. Two of my favorite foods, married together at last. Source here. 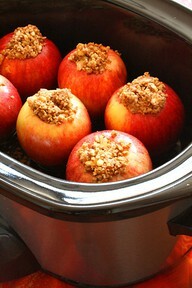 Crockpot Apples. Since I fell in love with my cp, this is a must-try! Source here. my kiddie heart jumped and clapped for joy! A baby Mr. T.! How stinkin’ cute is that!??! Now I know Ben and I could think of a million other things for PB’s costume, but come on, man, look at that beard! I’m afraid, though, that most people wouldn’t have a clue what he was. I’m a nerd, and most people probably haven’t watched, or even heard of the A-Team. Oh well, a girl can dream……. 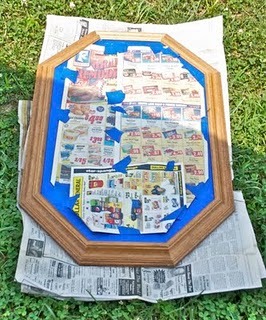 It’s a mirror (that I covered with painter’s tape and newspaper in preparation for its makeover) that will find its new home in PB’s room. I’m super pumped about it, as I’ve been looking for a good (cheap) mirror for his room for about a year now. I got this one for………..$8.00! It’s nice and heavy, and it was in great shape. I’ll post some pictures once its done. What about ya’ll? Have you had any awesome Goodwill/consignment shop finds lately? Next > guilt to the 9th power. 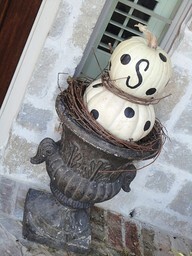 I loooove all of your pinterest pictures for Fall. It is my absolute favorite season too. When I was a little kid, my favorite season was summer. Now, I love it for about 3 weeks and am then officially over the heat. What a great Goodwill find! I am shamefully scared to rummage around in there… the blogging world is starting to change my mind! I love fall too! 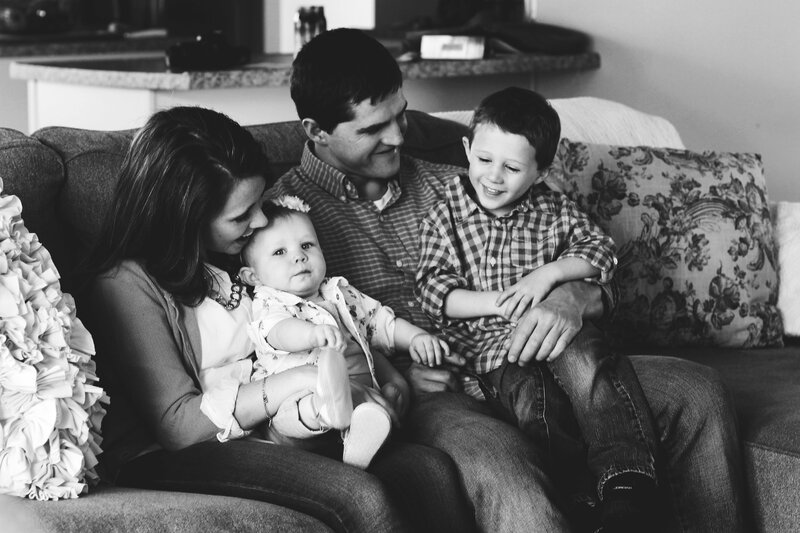 And now that I am a momma, I appreciate the sweater/jeans weather–it's a little more forgiving to the figure. 🙂 Did ya'll plant pumpkins? 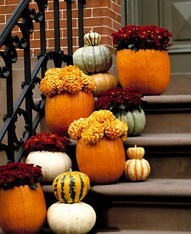 We have 3 in the garden so far, can't wait to see if they turn out and we can have our own little fall tradition! That mirror is delightful! I love the shape of it! Found your blog because you commented near me on Young House Love. Those Apple Slabs look amazing! Thanks for posting the source of the recipe. I will definitely be trying it out! I'm a fall fanatic! It figures, then, that I'd have to live in two places for six years that have no seasons. 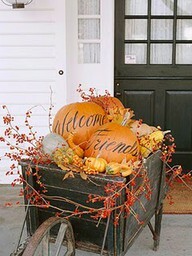 I've been pinning a ton of fall stuff anyway. You have some great ones! Oohhh I love fall for all the same reasons…and I've got to try those crockpot apples! As for goodwill…I want to go look for some things for my classroom, but I know ive spent too much already on school! My poor husband is about to be eating rice and beans because of it! TinyBlueLines- I am laughing at the sweater/jeans comment. It is so true! Summer clothes for a postpartum mom are NOT flattering. No, we didn't plant pumpkins, but I wish we would have! Charlotte: Did you just quote Mr. T?!?!??! You've made my day! How do you stand those hott summers in LA?!?!?! Pam-I hope you can still celebrate fall in Guam! Do they have pumpkins there?!?! 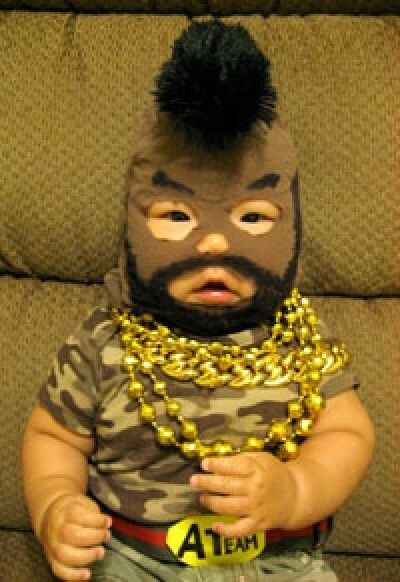 Haha, you're a woman after my own heart if you've considered Mr. T for your boy for Halloween! KeepCalm- I would have NEVER thought to use Goodwill for my classroom. What a great idea! I can see that it will be so easy to spend lots of money on my room! Found you through Carmen's blog! I try REALLY hard to enjoy each season…but I'm more than ready for fall. 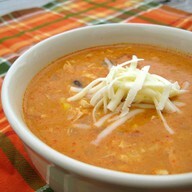 Soups. Breads…and I'll definitely give those crockpot apples a try.